We provide an exquisite range of wall clocks that are widely demanded by our clients. Our clocks are beautiful, authentic and antique pieces. Our range also reflects the craftsmanship of our designers and is of impeccable quality. 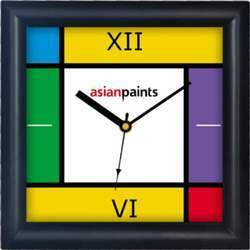 Our expertise team offers a comprehensive range of Novelty Wall Clock with item code 2256. This piece of Nautical Wall Clock is made up of fine quality of metals with some unique features embedded with it. The product will enhance the beauty and elegancy of the living room and working area. We provide this range of Nautical Wall Clock at reasonable prices. We are the leading suppliers in novelty clocks.